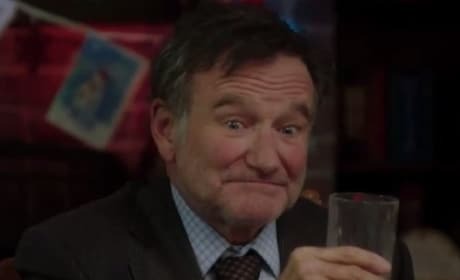 A photo of Robin Williams. The superstar passed away in 2014. The Night at the Museum: Secret of the Tomb Robin Williams poster. 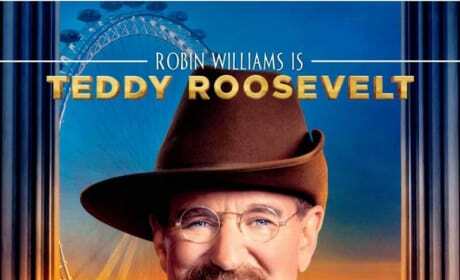 Williams is back as Teddy Roosevelt. 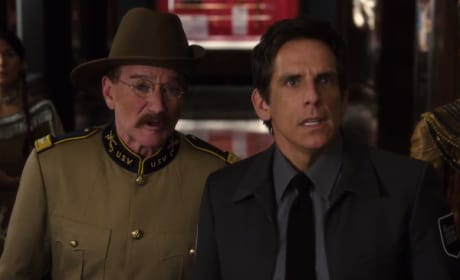 Night at the Museum: Secret of the Tomb stars Robin Williams and Ben Stiller. The third Night at the Museum movie lands in December. Night at the Museum: Secret of the Tomb star Robin Williams. Ben Stiller is back too. Robin Williams stars in Merry Friggin' Christmas. Joel McHale also stars. the dark comedy. 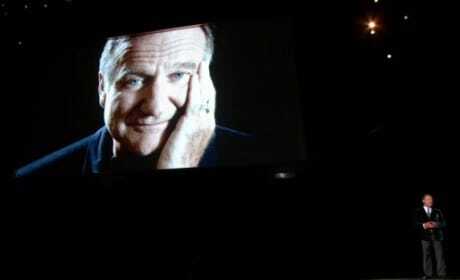 The Emmys salute Robin Williams. The star passed away at 63. 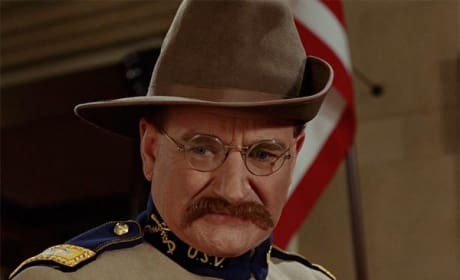 Robin Williams in Night at the Museum. Williams still appears in Night at the Museum: Secret of the Tomb. Robin Williams in Merry Friggin' Christmas. Joel McHale also stars. 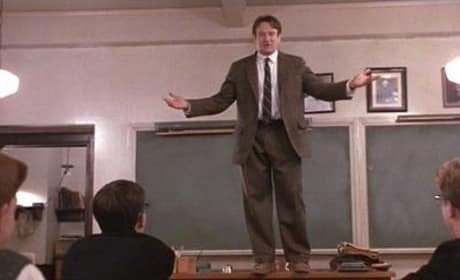 Robin Williams stars on Dead Poets Society. Dead Poets Society has become a classic. 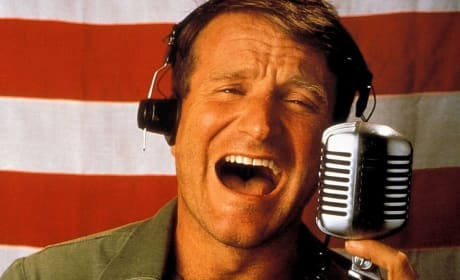 Robin Williams stars in Good Morning Vietnam. The movie was a smash hit. 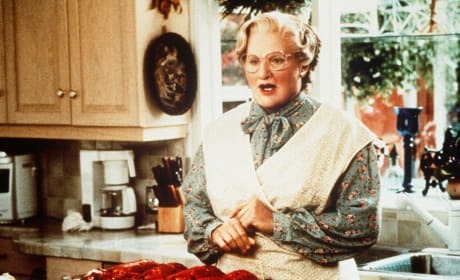 Robin Williams stars in Mrs. Doubtfire. Sally Field also stars. Robin Williams stars in The Fisher King. The film also starred Jeff Bridges. Robin Williams is an Academy Award-winning actor and comedian born in Chicago, Illinois. Williams got his big break from the hit television show, Mork & Mindy in the late 70's as the iconic Mork. Robin Williams came to prominence on the big screen for his Academy Award-nominated performance in Good Morning, Vietnam in 1987. 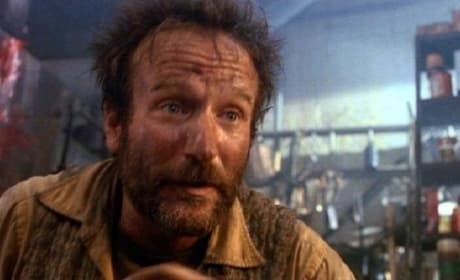 After that Williams went on to star in such films as Dead Poet's Society, Hook, and The Fisher King. In 1992, Williams lent his voice to the Genie in Disney's highly successful animated Aladdin. It was this casting that helped paved the way for future big name stars doing voices in animated flicks. Williams has also done voice work in Fern Gully, Robots, and Happy Feet. 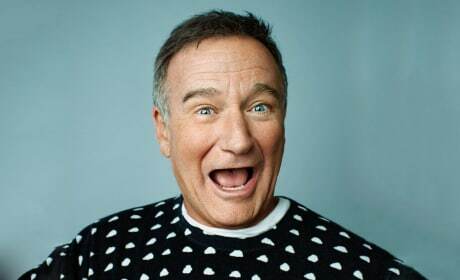 William's film career has continued to have success including his Mrs. Doubtfire, The Bird Cage, Academy Award-winning performance in Good Will Hunting, and Patch Adams. Billy Crystal Salutes Robin Williams at Emmys: Watch Now! 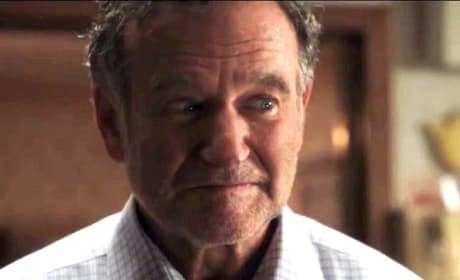 Robin Williams Ruling Amazon Charts: 70 Percent Are Williams Movies! 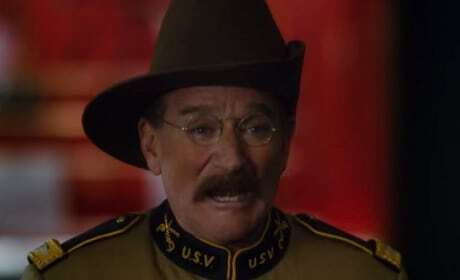 Robin Williams Has Four Films Still to Come: Night at the Museum 3 & More!